Highlights from Middlesbrough’s goalless draw with Fulham. Aitor Karanka's men enjoyed a good spell thereafter, although they were not able to turn possession into any real chances. Much like in the opening half, though, Fulham came back at the hosts, with Jamie O'Hara's powerful volley forcing a save from Konstantopoulos. That stop paled into comparison to the one produced by his opposite number in the 70th minute, Konstantopoulos diving to beat away McCormack's fizzing strike one-handed. "We didn't play the way we usually do. I am especially disappointed with the start because you need to begin well at home. We know sides will do this (try to frustrate us), but we have to find a way to win the game - especially at home." 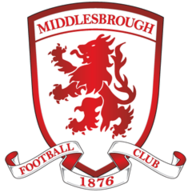 "They [Middlesbrough] were having a bit of a grumble during the first half. It wasn't something we set out to do. We've had a few chats about managing the game better and you come to somewhere like here, you're not going to go rushing after balls when you're drawing."